A “program” for "New Generation" global leaders is a labor-intensive exercise that requires the combined skills of project management, event planning, logistics, sales and marketing, government client relations, cultural knowledge and sensitivity, hospitality management and public diplomacy. Doing it best is an intricate choreography of balancing substantive issues, different objectives, diverse cultures and community resources. “Programming” is as much an art as a science and “flexible response” is the operating principle. 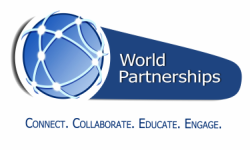 Each program, whether with 2 visitors or 25, demands a full understanding of the expectations of three distinct World Partnerships “clients”, each with individual agendas: The US Department of State and its Embassies overseas; National Programming Agencies; and the international visitors themselves. And, while programs are organized under a single topic or subject area, large groups are typically comprised of many different nationalities, cultures, and professional status, experience and objectives. Click on just one of the following "program years", and you'll get a feel for the variety of "New Generation" leaders who are here almost every day! Programs include professional meetings, cultural activities and hospitality. Visitors experience how Americans live, work, learn and play, while Americans “travel the world without leaving home!” Informal, “community hospitality” gatherings – whether at a baseball game or a museum, over coffee, at the beach, or at a backyard BBQ – are the best ways in which cultural values are communicated and exchanged, and where long-lasting friendships and professional connections are formed.